Nifo Oti Painting 16" x 20" original oil painting on Canvas. 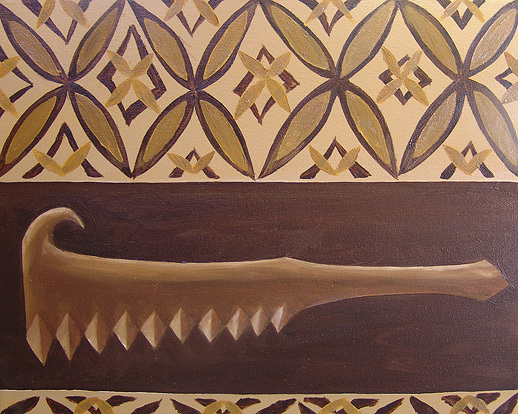 This is a smaller version of the Poto Tele painting but with a small Nifo Oti "Death Teeth" warclub. The Nifo Oti is the war club that was used in acient battles, now it is known best for being the warclub that was lit on fire for the Siva Afi (Samoan Fire Knife Dance).